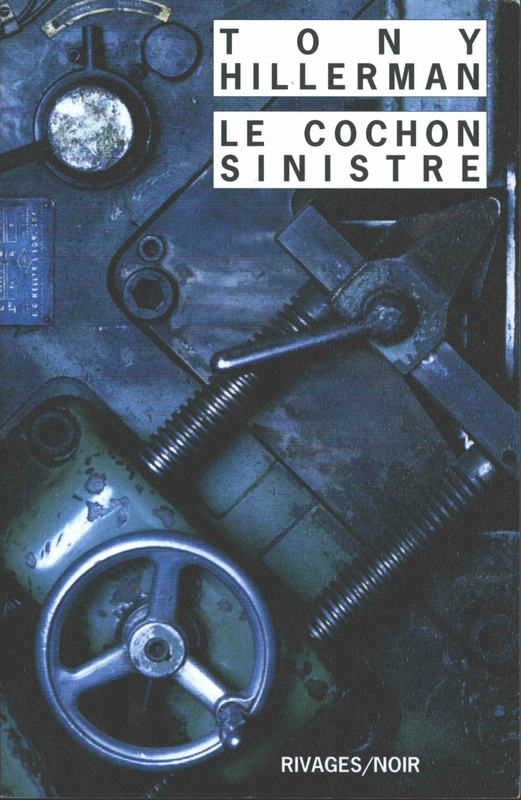 This is the French pocket edition of The Sinister Pig, translated into French by Danièle and Pierre Bondil, published in 2007 by Éditions Payot & Rivages (Rivages/noir) in Paris. The cover was designed by Photonica. The front cover is a photograph, tinted in blue and green tones, of a Heller Universal Ironworker machine. The cover text, in black within white rectangles, includes the author name and book title. 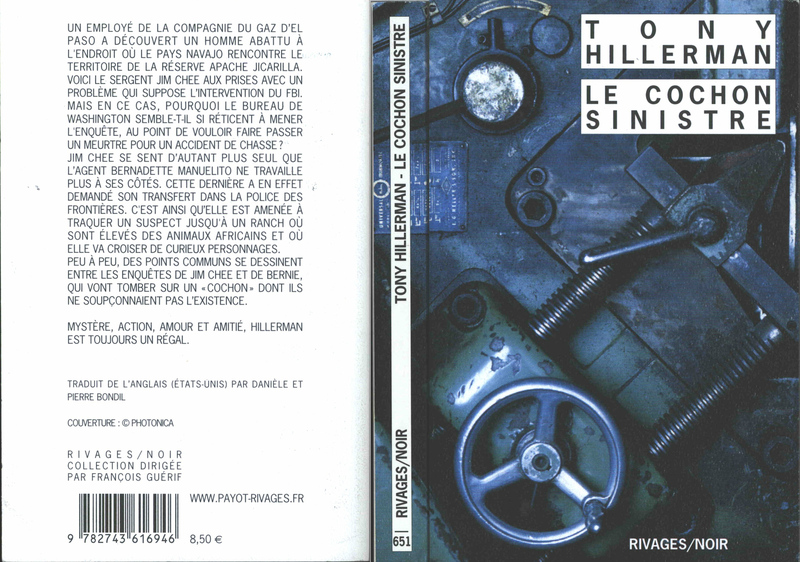 The back cover displays, in black text on a white background, the synopsis, translation and cover credit, publisher's imprint, barcode, and price. The front cover photograph wraps onto the spine, where the title, author name and publisher's imprint are printed in black horizontally bottom to top. The inside front and inside back covers are blank.